Our End of tenancy cleaning are carried out by a team of professional cleaners with all materials and equipment required to complete the cleaning job. We have designed our End of tenancy to give you the very best cleaning standard at an affordable rate BeClean Cleaners knows how important is to leave a property immaculate, whether you are moving out or in a rented accommodation or you are selling your home you will benefit from our End of tenancy cleaning which is ideal package if you are relocating to a new home and you need it to be cleaned perfectly.We can do an intense pre/post-tenancy cleaning in a day, leaving your property in the best possible condition. This cleaning service is also created for people who buy or sell properties, including estate agencies. If your tenancy agreement comes to an end this service is especially you, to save you cost and time. Our End of Tenancy Cleaning can be charged at hourly rate to suit individual needs. Please contact us for a quote. There is a minimum requirement of 6 hour per session for this service. Deep clean rate and cost of materials applies. If you have additional bathrooms/kitchens/sitting areas/dinning rooms/conservatory or extra rooms prices will differ. If your property is a house, price will increase. 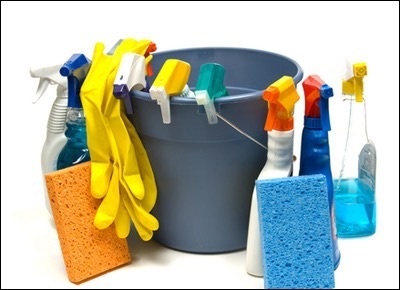 End of Tenancy Cleaning requires a minimum 6 hours per session. You can book cleaners online via our email be_clean@hotmail.com or call us on 07874 850515. All Price includes a team of cleaners and professional materials and equipment required to complete your end of tenancy cleaning. The process of a one-off cleaning service includes the perfect cleaning of your whole house, flat or office. All accessible surfaces will be cleaned, including skirting boards and floors. All room and the entrance area will be cleaned. This service is mostly suitable for all customers who do not require domestic cleaning on regular basis. Apart from the cleaning service, we can help you with ironing as well during this time. For ironing, please ask during booking. One off cleans is booked according to number of hours required and the cleaner/clean team will work for the duration booked. If you will require the team for longer, please call the office to discuss any additional hours. The number of hours booked does not guarantee that all tasks will be completed. See our one off cleaning task list to help you choose the areas of preference. 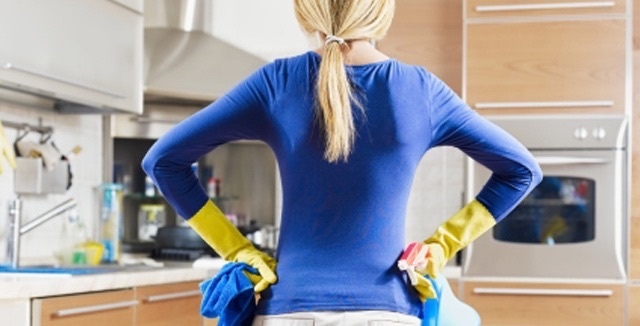 We recommend you ask cleaners to start from the areas that are more important. One off cleans are slightly different from a deep clean or spring clean, please call us to discuss your requirements and we will be happy to suggest a suitable service for you. We Begin with couple of minutes all house clean-up this will clear out the clutter and give us room to do the actual cleaning. We recommend de-cluttering your house as this will save the cleaners valuable time to carry with the actually tasks. Don't worry about cleaning the floors, dusting, wiping and the rest will We will do this later once we have the clusters out of the way. Kitchen sink to be cleaned. Washing machine to be cleaned from outside . Cleaning of dishwasher from outside . Fridge to be cleaned from outside. Floors to be cleaned and moped. All wood work to be cleaned including skirting Boards. Doors to be wiped to remove any finger marks. All ceilings to remove any cobwebs where reachable. Clean and disinfect toilet seat inside and out, toilet bowl inside and out, polish where necessary. Clean and wash the bathtub(shower cabin), polishing the taps. Clean and wash the tiles and between the tiles. All woodwork to be wiped down. Floor to be cleaned and moped. All furniture to be dusted and polished. Floors to be hovered /or mopped. All ceilings to remove any cobwebs where reachable . All furniture to be cleaned. Window ledge dusted if accessible. All skirting’s to be cleaned. Floors to be hovered and or mopped. All banisters and spindles to be cleaned. Skirting’s to be wiped down and marks removed. Stairs to be hovered and or mopped. Cleaning of inside of cupboard, wardrobe, cabinets and all appliances are not part of this services unless specifically agreed on during booking.